Not to be confused with the West German industrialist Fritz Dietz. Fritz Diez (27 February 1901 – 19 October 1979) was a German actor, producer, director and theater manager. William Tell is a folk hero of Switzerland. According to the legend, Tell was an expert marksman with the crossbow who assassinated Albrecht Gessler, a tyrannical reeve of the Habsburg dukes positioned in Altdorf, in the canton of Uri. Tell's defiance and tyrannicide encouraged the population to open rebellion and a pact against the foreign rulers with neighbouring Schwyz and Unterwalden, marking the foundation of the Swiss Confederacy. Supernumerary actors are usually amateur character actors in opera and ballet performances who train under professional direction to create a believable scene. Flensburg is an independent town in the north of the German state of Schleswig-Holstein. Flensburg is the centre of the region of Southern Schleswig. After Kiel and Lübeck, it is the third largest town in Schleswig-Holstein. The Stadttheater Bremerhaven is a theatre in Bremerhaven, Germany. Founded in 1867, it serves three genres: opera and other musical theatre, spoken plays, and dance. A theatre built on the present site in 1911 was largely destroyed in World War II; a new house was built in 1952 which incorporated the surviving Jugendstil facade. The smaller Bürgerhaus Lehe, which served as a home before the rebuilding, is currently used as a venue for chamber pieces. 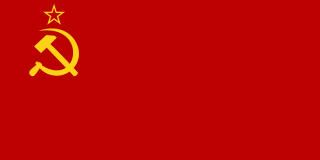 The Communist Party of Germany was a major political party in Germany between 1918 and 1933, and a minor party in West Germany in the postwar period until it was banned in 1956. The Guild of the German Stage is the guild for people who work on the legitimate stage. Its members come from both the areas of stagecraft and artistic workers in theaters from all over Germany. The organization is based in Hamburg and is divided into seven regional divisions. It was established in 1871, in Weimar on an initiative by Ludwig Barnay. The Reichstag fire was an arson attack on the Reichstag building, home of the German parliament in Berlin, on Monday 27 February 1933, precisely four weeks after Adolf Hitler was sworn in as Chancellor of Germany. Hitler's government stated that Marinus van der Lubbe, a Dutch council communist, was found near the building, and they attributed the fire to communist agitators in general—though a German court decided later that year that van der Lubbe had acted alone, as he claimed. After the fire, the Reichstag Fire Decree was passed. The Nazi Party used the fire as a pretext that communists were plotting against the German government, and the event is considered pivotal in the establishment of Nazi Germany. The term "Reichstag fire" has come to refer to false flag actions facilitated by an authority to promote their own interests through popular approval of retribution or retraction of civil rights. The Geheime Staatspolizei, abbreviated Gestapo, was the official secret police of Nazi Germany and German-occupied Europe. Fritz Diez (second from the left) in 1966. The Soviet Occupation Zone was the area of central Germany occupied by the Soviet Union from 1945 on, at the end of World War II. On 7 October 1949 the German Democratic Republic (GDR), which became commonly referred to as East Germany, was established in the Soviet Occupation Zone. An artistic director is the executive of an arts organization, particularly in a theatre or dance company, who handles the organization's artistic direction. They are generally a producer and director, but not in the sense of a mogul, since the organization is generally a non-profit organization. The artistic director of a theatre company is the individual with the overarching artistic control of the theatre's production choices, directorial choices, and overall artistic vision. In smaller theatres, the artistic director may be the founder of the theatre and the primary director of its plays. In larger non-profit theatres, the artistic director may be appointed by the board of directors. Schatten über den Inseln is an East German black-and-white film, directed by Otto Meyer. It was released in 1952. Dresden is the capital city and, after Leipzig, the second-largest city of the Free State of Saxony in Germany. It is situated in a valley on the River Elbe, near the border with the Czech Republic. The Volksbühne is a theater in Berlin, Germany. Located in Berlin's city center Mitte on Rosa-Luxemburg-Platz in what was the GDR's capital. It has been called Berlin’s most iconic theatre. The Deutsches Theater in Berlin is a well-known German theatre. It was built in 1850 as Friedrich-Wilhelm-Städtisches Theater, after Frederick William IV of Prussia. Located on Schumann Street (Schumannstraße), the Deutsches Theater consists of two adjoining stages that share a common, classical facade. The main stage was built in 1850, originally for operettas. Günther Simon was an East German actor. Peter Zadek was a German director of theatre, opera and film, a translator and a screenwriter. He is regarded as one of the greatest directors in German-speaking theater. Duped Till Doomsday is a 1957 East German drama film directed by Kurt Jung-Alsen. It was entered into the 1957 Cannes Film Festival. Five Cartridges is a 1960 East German film directed by Frank Beyer and starring Erwin Geschonneck, Armin Mueller-Stahl and Manfred Krug. Josef Michel Dischel, known by his adopted stage name Peter Sturm, was an Austrian and an East German actor. Werner Friedrich Dissel was a German actor and director. Der Rat der Götter is an East German black-and-white film, directed by Kurt Maetzig. It was released in 1950. Das verurteilte Dorf is an East German propaganda film directed by Martin Hellberg. It was released in 1952. Anna Susanna is an East German drama film directed by Richard Nicolas. It was released in 1953. Jacke wie Hose is an East German comedy film, directed by Eduard Kubat. It was released in 1953. Schlösser und Katen is an East German black-and-white film, directed by Kurt Maetzig. It was released in 1957. Im Sonderauftrag is an East German black-and-white film directed by Heinz Thiel. It was released in 1959. Die Entscheidung des Dr. Ahrendt is an East German black-and-white film, directed by Frank Vogel. It was released in 1960. Flucht ins Schweigen is an East German black-and-white film, directed by Siegfried Hartmann. It was released in 1966. Hans-Joachim Preil was an East German comedian. Hannjo Hasse was an East German actor. On the Sunny Side is an East German musical comedy film, directed by Ralf Kirsten and starring Manfred Krug. It was released in 1962. Fritz Delius was a German film actor and theater artist. He played leading parts opposite Henny Porten and Fern Andra in several silent films. After the advent of talkies he shifted his focus to theater. When Adolf Hitler came to power and several restrictions began to be imposed on Jews, Delius emigrated to Switzerland where he continued his theater and film career. Mathilde Danegger was an Austrian stage and movie actress. Sources may also identify her by the pseudonym, Mathilde Leusch. 1 2 3 4 Theater der Zeit. Verband der Theaterschaffenden der DDR (September 1979). ISSN 0040-5418. Pages 16-21. 1 2 3 4 Frithjof Trapp. Handbuch des deutschsprachigen Exiltheaters 1933-1945: Verfolgung und Exil deutschsprachiger Theaterkünstler. K.G. Saur Verlag (1999). ISBN 978-3-598-11374-1. Pages 89, 181-182, 285. ↑ Werner Mittenzwei. Exil in der Schweiz. Röderberg (1979). ISBN 978-3-87682-484-0. Page 351. ↑ Brigitte Bruns. Werft Eure Hoffnung über neue Grenzen. Henschel Verlag (2007). ISBN 978-3-89487-571-8. Page 62. ↑ Hans Teubner. Exilland Schweiz. Diez Verlag (1979). ASIN B003H2Z0RG. Page 296. ↑ Jörg Krummenacher. Flüchtiges Glück. Die Flüchtlinge im Grenzkanton St. Gallen zur Zeit des Nationalsozialismus. Zürich (2005). ISBN 3-85791-480-7. Page 402. ↑ Petra Stuber. Spielräume und Grenzen: Studien zum DDR-Theater. Links Verlag (2003). ISBN 3-86153-171-2. page 302. ↑ Dieter Reimer. DEFA-Stars: Legenden aus Babelsberg. Militzke Verlag (2004). ISBN 3-86189-717-2. Pages 178-9. ↑ Norbert Moczarski, Die Protokolle des Sekretariats der SED-Bezirksleitung Suhl. Boehlaus Herrmann Nachf., 2002. ISBN 978-3-7400-1162-8. Page 23. ↑ B. Tauchnitz. Shakespeare Jahrbuch. Banden 100-101. Deutsche Shakespeare-Gesellschaft (1964). Page 43. ↑ An interview with Dilara Ozerova. Archived 2012-03-16 at the Wayback Machine . ↑ Charles P. Mitchell. The Hitler Filmography: Worldwide Feature Film and Television Miniseries Portrayals, 1940 Through 2000. McFarland & Co. (2002). ISBN 978-0-7864-1295-2. Page 171. ↑ Ingrid Eberhardt. Kinder des Bezirkes – diesmal Schauspieler Fritz Diez oder: Das totale und unwiderrufliche Engagement fürs Theater. Freies Wort , 15 June 1979. ↑ Fritz Diez Archived 2011-07-19 at the Wayback Machine . in a list of renowned actors from Meiningen.